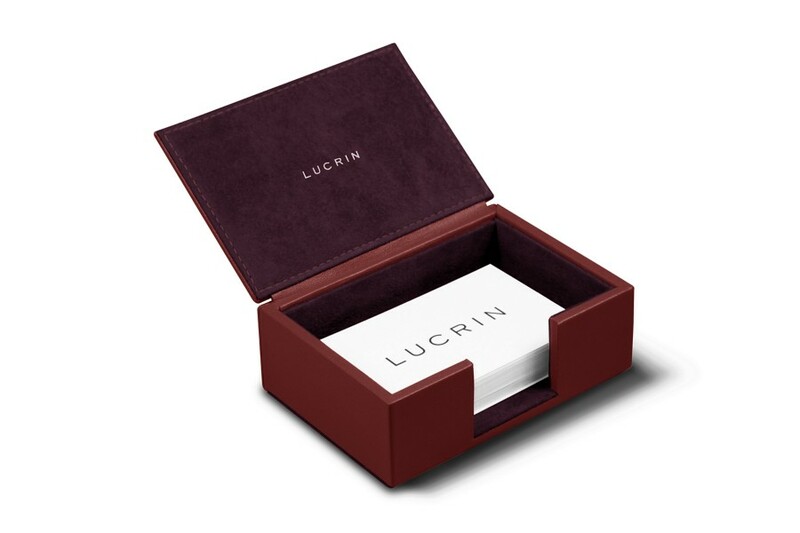 You can obviously customize this visiting cards box with the engraving of initials on top of the box for instance, or choose a contrasting thread color for an absolutely unique gift. 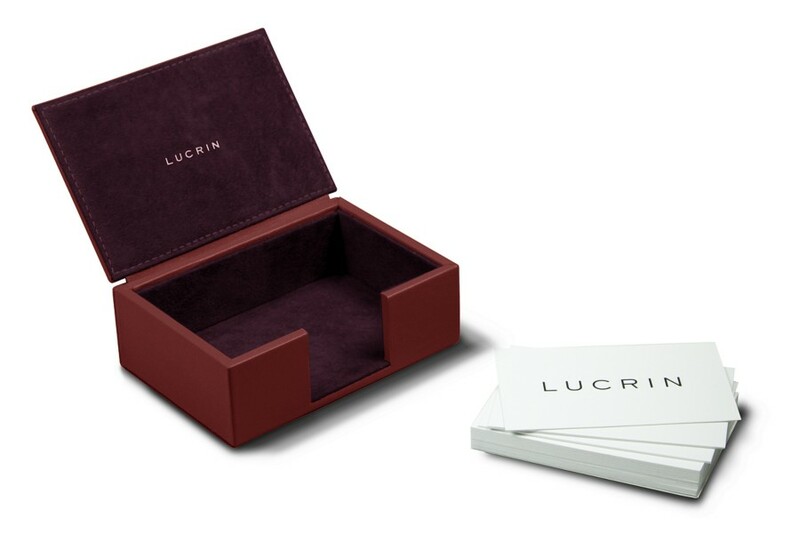 Here is the box for business cards in authentic premium leather. Coming with an intelligent opening couple with a closure tab, it is basically a wooden structure expertly covered in leather. 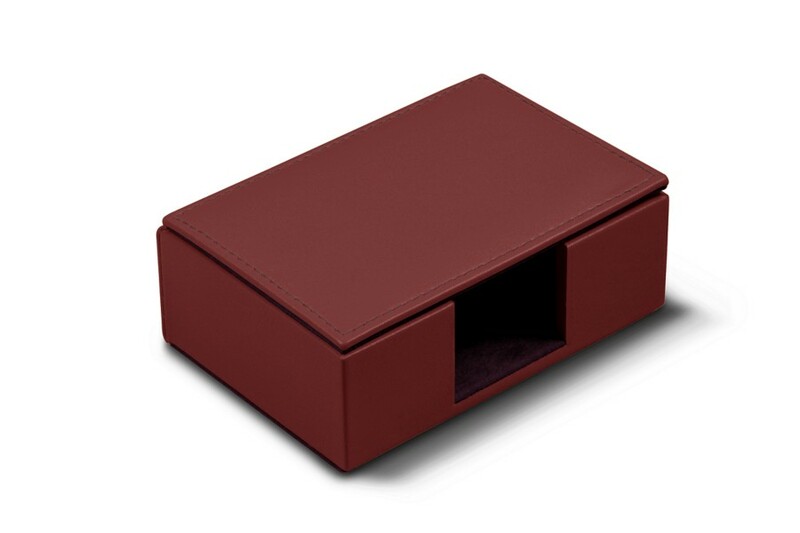 This business cards holder can contain up to 100 cards of maximum format 3.7 x 2.3 inches. 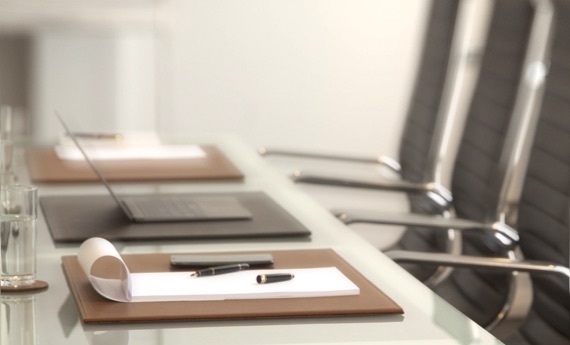 Ideal for businessmen, corporate executives or professionals. Of course, you can build up a superb set with other office accessories from Lucrin.